Explore the heroes and warriors of myth and legend! The adventure starts with war drums in the lower strings and contrasting melodic themes in the violins. 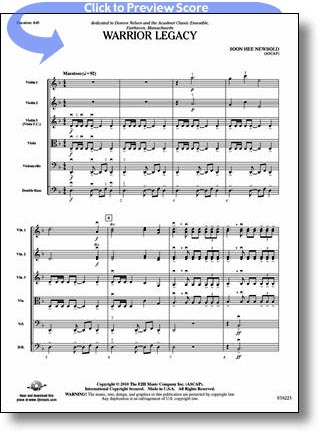 This cinematic-type score includes various solos throughout and a thrilling 12/8 section to finish the epic story. Riveting!